Mike Charalambous is the CEO of SRFax, a Canadian-based Internet fax service provider that provides services in the U.S. and Canada. FaxCompare Kate Harrington sat down with him to talk about the fax industry and the future of Internet faxing. FaxCompare: Roughly how many new subscribers do you see each month? like one of j2’s [Global, owner of eFax and MetroFax], they probably get 50,000 new subscribers a month. I think the faxing industry is improving, and we’ve seen great growth. Consultants are, for the first time, saying that demand for online faxing service is now surpassing in-house fax service. And that’s amazing, because the enterprise market is the biggest fax user, and most of them have in-house servers because they have seen that as more secure and cost effective. But the forecast for the next three to five years is that the online fax market will surpass the server-based market in revenue. That’s exciting for us. 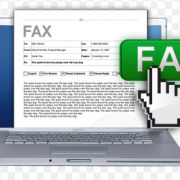 FAF: Have you seen certain industries embracing Internet faxing? SRFax: I think the biggest growth market has been the medical industry. We’ve got a few electronic medical records companies that have integrated their software with our software. On the whole, healthcare, finance, and legal are heavy users of online faxing. FAF: What feature requests do you most often hear from customers? SRFax: I think portability – being able to bring your number with you when you switch providers – is the biggest one, which we do supply. And then there’s a demand for an app. 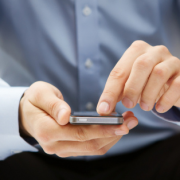 With smartphones today you can do just about anything, and faxing is no exception. If I had to say one of the things we need to have – and are in the process of developing – it’s a smartphone app. Another big request, which we do offer, is HIPAA compliance. We are also one of the few online fax companies that will sign a business associate agreement. FAF: What business size do you see the most online fax demand come from? SRFax: It’s really split in two – we have a lot of customers with smaller, home-based businesses who are buying the Home 200-page plan. Then on the business side, the majority of customers are well over the 2,500-page plan. About 10-15% of our customers buy plans in the middle from 800-2,500 pages per month. The rest are either small business owners or large corporations that need well over that amount. FAF: What do people not know about the fax industry? 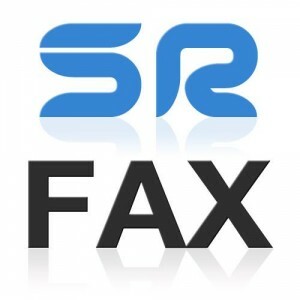 SRFax: There’s been a lot of growth in this industry in IP faxing. But I don’t think it has staying power. Faxes are transmitted by sound, and that Internet phone line doesn’t always work well for that. If you get any noise interference on the line, it’s lethal for faxing. The general public and even some businesses don’t understand that an Internet phone line doesn’t work that well. 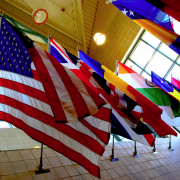 People will go to VoIP-based systems, it doesn’t work, and they end up coming to us. 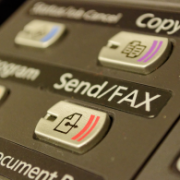 FAF: What’s the most interesting thing that’s happening now in the fax industry? SRFax: That the industry is moving toward cloud-based services. 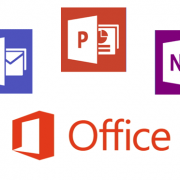 A lot of people don’t know that Internet faxing or cloud-based services exist, and it’s exciting to see that trend reversing and people looking for services like ours, as opposed to looking for hardware or legacy service. People have been predicting that the fax will die for a long time, but I don’t see that happening. There are too many industries that need it – there would have to be a major shift in thinking across many industries for faxing to start tapering off. I think another thing to be aware of is that for cloud-based services, the waters have been muddied badly over the last five or six years. When we started 10 years ago, there were only six or seven providers. Today there’s probably 50. But of those 50, half of them have terrible customer service and aren’t reliable. Customers sign up with a cheap service, have a bad experience, and end up thinking the entire industry is bad. But if they’re serious about remaining with a cloud-based service, they’ll get to a good provider. Whether you’ve got a home office or are building a business that will have to scale up rapidly, faxing is an important tool. Now that faxing has been freed from the fax machine, it can provide an easy, secure, and mobile way to send and receive documents. And as with many industries, the growth of cloud-based technologies will only help Internet faxing grow and become more feature-rich. 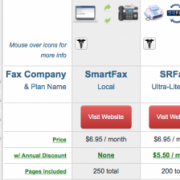 How Do SmartFax and SRFax Compare?